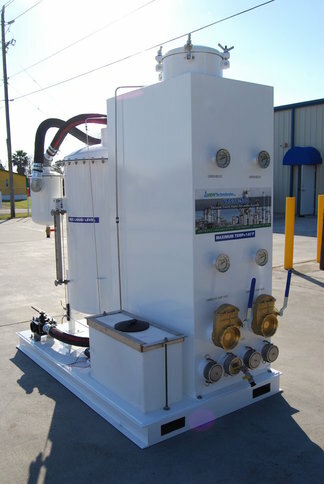 Vapor Tech is a custom manufacturer of vapor scrubber systems for many types of hazardous and non-hazardous vapors. Our systems are able to treat air flows from 1 to 20,000 c.f.m. In many cases, 99.9% odor/VOC removal is possible using our systems. The uses for our scrubber systems range from wastewater and municipal authorities to major refineries and chemical liquid storage terminals. We manufacture these systems from many available materials such as stainless steel, carbon steel, poly and FRP. Below is a representative sample of the types of scrubber units we manufacture. Contact us for questions regarding your specific application! In addition to our poly units, we offer a host of steel materials as options for our scrubbing systems. 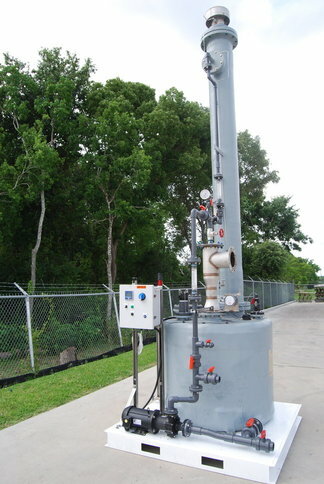 Vapor Tech offers a complete line of light industrial vapor scrubber systems. Vapor Tech manufactures venturi style vapor scrubbers for a host of applications. 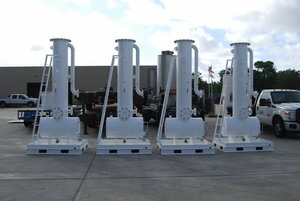 Packed-column scrubbers with very low pressure drop ideal for frac-tank or other small tank applications. 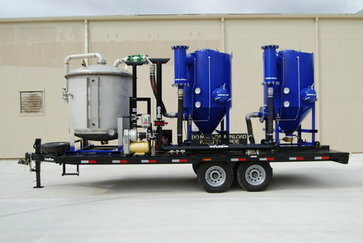 High-Efficiency vapor scrubber for vacuum truck applications. Designed for direct mounting to vacuum truck chassis. 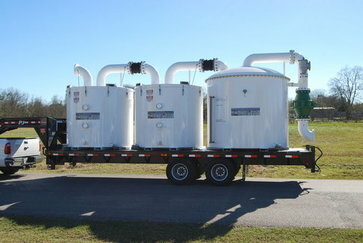 Vapor Tech rents and sells high volume vapor scrubber units. 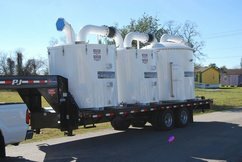 All-in-one trailer-mounted system designed for high vapor volumes (~6500 CFM). Excellent for GAP-VAC and Guzzler vapor control. 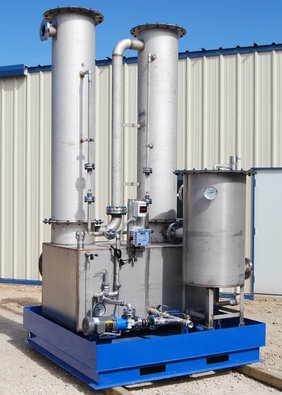 System includes liquid scrubber followed by twin 3000# radial carbon adsorbers.